A portal to information about the Jungian community in the Greater Seattle area. The Society is a nonprofit educational corporation formed to provide a forum for the ideas of C.G. Jung. The Jung Society sponsors lectures, workshops, seminars, and study groups by both locally and nationally known Jungian scholars, and its events are, for the most part, intended for the general public. Most events take place at the Good Shepherd Center. Go to the Society web site. CGJIS is the IAAP (International Association for Analytical Psychology) approved and recognized Jungian Training Institute in Seattle. All of our analysts are certified Jungian Analysts and members of the IAAP, practicing throughout the Pacific Northwest. 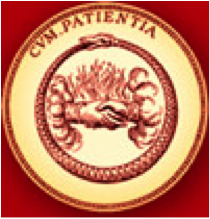 CGJIS provides a comprehensive Jungian Analyst training program to qualified mental health professionals as well as in-depth seminars for licensed clinicians. We also present educational conferences and public events. Go to www.CGJIS.com. The JPA is a mutually supportive organization of psychotherapists actively engaged in the study and application of Analytical Psychology. The central purpose of the JPA is to further the professional growth, development, and education of its members. To support this aim, the JPA provides professional educational opportunities with a clinical focus, including: seminars, courses, consultations, and study groups. Go to the JPA web site. The New School for Analytical Psychology in Seattle is a consortium of clinician-scholars. As a New School we honor the ancient and the contemporary, embracing education as an ethical and never-ending dialogue that does not hold fast to a single theory or ideology. Analytical Psychology emphasizes our origins in the world of clinical analysis. See the web site. Creativity and Myth. Lecture and workshop by Allison Stieger, M.A. Wisdom of the Body in Kundalini, Alchemy, and Individuation. Charles Zeltzer, Ph.D.
Archetypes of Place and Planet. Lecture and workshop by Craig Chalquist, Ph.D.
Freud's Last Session. A play by Mark St. Germain. A Jungian Life: A Memoir. Book signing and lecture by Thomas B. Kirsch. The Final Interlude: Living the 80s, 90s, and 100s to the fullest extent possible. Lecture by Lee Roloff, Ph.D.
Hidden Feminine – Recovery and Redemption in Sacred Texts. Lecture and workshop by Silvia Behrend, D.Min, M.Div. This calendar includes all public events sponsored by the organizations listed above. For each event, the sponsor is listed following the date. For more information about a particular event, please follow the linked event title.